It's you, you and more you this week, Aries. The current Last Quarter Moon cycle falls in your very own stars and reminds you of the power of new beginnings. You just wrapped up quite an intense phase of gutting out all of the muck from your world. Initiate new plans with utmost sincerity and intention as you prepare for a brand new love cycle starting next week. This is the week for getting grounded and clear about what you want and do not want moving forward. Make those calls and keep the energy moving forward now. Can you feel the creative surge about to break? Something major is ending and something brand new is just about to begin. You’re coming home to your creative roots this week, Taurus. Strength, confidence and personal power are on the rise over the next few weeks, so dump out all of those residual fears and insecurities now. The Moon will move through your stars at the beginning of the week to help you ground and remember what you love. Linger in the beauty, darling. Rushing only makes you cranky and unfocused. There’s absolutely no need for that under the current waning moon. Next week is when the energy returns in full force. Conversations, texting and every other form of speaking your mind is highlighted this week, Gemini. You’re starting to wonder when life will slow down and give you a break to catch up. It will in due course, but first there’s just a lot going on. This week’s Last Quarter Moon phase has you surrounded by friends and potential new collaborators vying for your time. Running around and making connections is something that comes naturally to you. In fact, you thrive when you are free to roam and flirt with others without too much pressure or attachment. That said, you’re also thinking long-term goals and how to up your game in terms of awards and other worldly accolades now. The Sun is about to leave your sweet and sentimental Cancer stars after Saturday, so make it a finale to remember! You’re about to move from family and feelings to money and grounding over the next few weeks. But first, it’s about coming back to your core self, Cancer. You are wrapping up and digesting all that you have learned since last month’s New Moon in Cancer. You are balancing home, career, self and other like a pro. You’re also in touch with the bigger picture and taking your career goals to the next level over the next few weeks. Now that the emotional storms are subsiding a bit, you can relax and focus on the basics like playing the bills and proper self-care. You’re coming back into your shine this week, Leo. You’ve been feeling a bit underground and moody over the past few weeks (read: hidden) and will joyfully welcome the return of the Sun coming home to your stars starting this Saturday. You’re back on your proper throne and in the limelight where you belong. Now that you feel your confidence coming back full force, you’re ready to tackle anything. This week’s Last Quarter Lunar phase is excellent for long-distance travel and rethinking your core philosophy. Are you living your truth, Leo? Do you respect your mentors and teachers who came before you? Plenty is shifting faster than you can even organize it this week, Virgo. Part of the problem is that you can’t quite see or foretell what is changing yet sense the ground unsteady beneath your feet. Let go of the details for the moment and get back to your instincts and intentions, love. This week’s Last Quarter Moon cycle will help you shed bad habits, attachments and other patterns that you have been trying to let go of for months if not years. Why drag the old into another summer just to clog up the joy? After the 22nd, you’ll be ready to spread your wings and broaden your horizons. Unplug as much as you want and need without apology. Relationship themes are ready for a major upgrade this week, Libra. It starts with you and asserting your needs without exception for a change. You are so good at adjusting, adapting and accommodating to what everyone else wants and expects from you, but at what cost? Aren’t you starting to feel over it—frustrated and angry to your core? That is all about to change now. The sooner you get real about your true feelings and express them, the better your relationship dynamics will go from this point onward. Death to codependency, Libra. You are one of the most social signs of the zodiac, so don’t let one person drag you away into their world of endless needs. Count your blessings this week, Scorpio. Life continues to deliver the sweetness and the respect you so deserve. It’s time to take your rightful place on your career throne this week too. The Sun will be moving up to the tip-top of your chart starting on Saturday, putting you in the spotlight for the next month. No more hiding in the shadows just because it’s comfy and private there. Your power is blazing in the world where it belongs this summer. Plus the current Last Quarter lunar cycle is helping you catch up on all of your work deadlines so you can focus on the bigger picture. It might feel exceedingly busy and demanding at the moment, but you’re on the brink of greatness. You’re coming out of an emotionally challenging few weeks, Sagittarius. You are so ready and deserving of a true vacation. Get thee to the most exotic and healing destination imaginable. Starting this Saturday, you’ll have all the green lights for travel and adventure. Love will follow you wherever you land on your next jaunt. Plus, you do better with those from other cultures always because that’s how you roll. This week’s Last Quarter Lunar cycle is excellent for love and romance. Fall in love all over again with life and your current or brand new flame. Pleasure is your calling. Relationships took everything you have over the past few weeks. No wonder you’re feeling a bit burnt out and selfish at the moment. It’s not selfish to come back to your own neglected needs, Capricorn. It’s an essential part of rebalancing. It’s time to pull back and assess where you left off with number one. Plus, this week’s Last Quarter Moon cycle is reminding you of what a home body you truly are. Sometimes all you need is quality time away from the world. A little overdue self-care is all you need to feel like you’re living your best summer. Work has been your constant over the past few weeks, Aquarius. You need a serious break now. Finding time to reconnect with friends and your favorite one-on-one connections is a serious must now to bring back some semblance of balance. This Last Quarter lunar phase could spark some blunt if not rather hostile communication if you’re not careful. You call it necessary honesty, but others could feel attacked by your sharp words. Sugarcoating is never your thing, but do consider the impact of fiery text communications. The Sun will move into your opposite sign and light up your relationship zone starting Saturday. The next month is very social and coupled up. You’re feeling a desperate need to get grounded this week, Pisces. The last month probably felt like a whirlwind, even if exciting. There is just so much to process and the bills have gotten a bit out of control due to emotional priorities. The current Last Quarter Moon cycle of the week insists you sit down with your bank accounts and find your way back to solid ground. Impulsivity can work for or against you financially. This strange transitional space is about to give way to a new cycle of work starting on the 22nd. Work, health and your daily schedule become your new priorities after a rather romantic spell. Here we are at the First Quarter Moon in Libra conjunct Jupiter. You may have felt a true lift, lightening or return of inspiration last night. That said, she will spend Saturday (July 1) having it out with Mars, Pluto and Mercury in Cancer as a prelude to the Full Moon in Capricorn on the 8th which will have another go at this cardinal cross energy. Clearly we are being asked to master the Cardinal Cross. How do we hold all four corners of the Cardinal Cross in balance while keeping our hearts open? Let's do a little breakdown of the Cardinal Cross as we'll be working with it many times throughout the next few months until Jupiter leaves Libra. Each time the Moon goes through any of the cardinal signs of Aries, Cancer, Libra or Capricorn, these themes reappear for our attention. 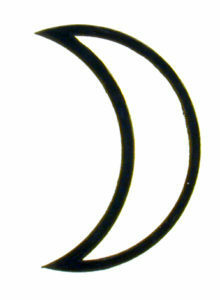 The opening square of the Moon can be extremely anchoring if we work with it consciously. In preparation of the Full Moon we first circle back to where we started on Day One with the New Moon in Cancer. Our emotions, our feelings our security needs, our relationship with the feminine and our guts. Now we are being asked to bring this into balance, harmony and flow. We will really be feeling what is out of balance and not flowing in our bodies and psyches at this time. The First Quarter Libra Moon also reminds me how essential it is to work towards harmony in all of these arenas as much as possible. The discord we experience is usually brought on by us. Our expectations are not met. We don't get our way. Things don't happen in our timing. We blame everyone else. We want to punish the world. We don't feel valued, loved or appreciated enough so we throw everything into chaos as an energetic tantrum of believing this will show the cosmos we mean business. Like Libra John Lennon would say, "Give Peace a Chance." Peace is a forgotten art form. To let things slide off our backs. To forgive and forget. To release the need to be right. To stop fighting and arguing over petty things. Happy Fourth of July, baby! Summer is in full swing with the strong family theme still front and center. Plus, everything is changing this week, Aries. First off, your world of communication (read: texting, emails and conversation) gets loads sweeter and wittier. You’ll be thinking from your heart, writing from your heart and thinking about love in general for the next several weeksl. The big news of the week is the Full Moon on Saturday bringing your career status to the next level. Look back to projects and goals you started last January and take pride in how far you’ve come! You have so much going on this week, that you may forget there’s a holiday situated right in the middle of it all. After settling into a few weeks of beauty and pleasure, you’re starting to feel the urge to hustle again. The part of your nature that knows how to wheel and deal and get into business mode takes over after Tuesday. You’re also gifted with all of the creative juju you need to take your work and ongoing projects to the next level. The Full Moon on Saturday stirs up some serious travel fever. If you don’t have some exotic summer plans on your radar, now is the time to get something going. Your world is about to get infinitely sweeter this week, Gemini just in time for a fabulous Fourth of July. The planet of beauty and love (Venus) is moving into your stars starting on Tuesday to assure the remainder of July feels like the summer of love. You’re a total attraction magnet for the next few weeks, so if you’re single now is the time to work the dating apps. If you’re already hitched, your relationship will feel amazing. You’re also a magnet for money under this influence. Add in the Full Moon on Saturday giving your work a turbo-charged boost. Projects you started last January are reaching their apex now. This a success all around week, darling. Cheers! Some of the recent planetary pileup in your stars is finally starting to subside this week, Cancer. This means the recent drama, excitement and overload is smoothing out around the edges. This is especially true on the mental front. You are so ready for a break from texting, emails and feeling like a slave to your gadgets. You can use the holiday on the 4th as your excuse for a much needed time out from being “online” 24-7. Plus, there’s a very intense Full Moon building up in your opposite sign of Capricorn. This is the perfect week for balancing out any relationship issues that need attention. You have so much on your plate this week, Leo but it’s all good. Just don’t forget to celebrate the holiday this Tuesday because the stars are bringing you all the love that day. Plus, the planet of communication (Mercury) is moving into your very own stars for the next few weeks to keep you on your toes and probably on your phone. The theme of constant connection could be your 4th of July anthem. You might find it impossible to turn your brain or your computer off for the next few weeks. If you’ve been needing to catch up on correspondence, July is your month. It might be a holiday week, but you’ve got business on the brain, Virgo. Your ambition is off the charts and you’re making things happen. Not only are you surrounding yourself with the creme de la creme of a team, but you’re so far advanced in your future plans that you’re slated for mega success. This is an excellent week to get your message out to the masses. Your social media skills are on point because you feel a trend months before anyone else has a clue. Finally, to assure a fabulous weekend—-the Full Moon on Saturday is extremely romantic and creative. Home and family is definitely where your heart is this week, Libra. And perfect timing—for the Fourth of July! Plus, your ruling planet (Venus) is brining you all the opportunities for travel and adventure you could ever want over the next few weeks. Don’t worry about all of the details and feel overly responsible for making sure everyone else has a wonderful holiday. This is about reunion, joy and stress-free quality time with relatives. If you’re feeling overly obsessed with family themes, you can blame it on the Full Moon building up all week and reaching her peak on Saturday. Balance all that you give with learning to relax and receive, darling. Communication becomes the major topic of this exciting and emotional holiday week! You have learned some powerful lessons around the power of your tongue lately and now you get to put your wisdom into practice by continuing to bite it when your pride feels attacked. Trust that there are always two sides to every story and give your loved ones the benefit of the doubt. Research is also on the agenda as is personal transformation. Your career star is also on the rise this week, so go ahead and launch your bigger projects and goals. Saturday’s Full Moon is full of opportunity. Money becomes a loaded issue this week, Sadge. Have you been spending money like water lately? That’s a rhetorical question of course for generous Sagittarius spirits. As the Full Moon builds up all week until Saturday, you’ll be feeling the pressure to get a grip on your finances. Sit down and make that budget once and for all. More importantly commit to sticking to it without fail until you get your banking back into balance. This will simply assure that you have more to spend later on —-sans guilt. Celebrate Independence Day this Tuesday by knowing you have the power to become and remain debt free, baby! It’s your Fourth of July party, and you can cry if you want to. Yep, it’s a hella emotional week, Capricorn. You pride yourself on having control of the messier side of your feelings and yet there’s a Full Moon brewing in your very own stars now. Let it all hang out without apology. You have been working so hard for so long, that you might have overlooked the fact that it’s officially summer now. You can’t be all business all of the time darling or it will affect your health and heart. This is the week to turn all of that around and bring back the art of relaxation. It’s a holiday week, and just in time! You’ve never needed or wanted a vacation more than you do right now, Aquarius. You definitely hit the wall last week in terms of pressure and overworking and now you want nothing more than to kick back and plant yourself on a chaise lounge with cool drink for the duration of the summer. Your dreams are off the charts as the weekend nears due to the Full Moon energies. Be sure to write down all and any clips you can remember as they will have meaning to you down the road. Keep them in a journal, darling and watch the insights and epiphanies pour right in. Happy Independence Day, Pisces! You’re feeling anything but independent at the moment, but you do adore any reason to celebrate. In fact, this could be one of your most social weeks of the year if you’re willing. There’s a potent little Full Moon building up until Saturday and bringing all of your friends, collaborators and tribe members out of the woodwork and vying for your undivided time and attention. You love to be surrounded by so much love and support but too much people time can also be draining on your sensitive system. Find the balance by taking time out for hydrotherapy whenever possible in between all of the mixing and mingling. The Path of Psychic Wisdom & Emotional MasteryWaxing Emotional Mastery& Waning through The Dreaming Dark. As we travel through these 40 days of our inner(lunar) journey towards integration of Self and purpose, we shall also be following the mythic path trodden by the goddesses, Isis and Nephthys in the ancient mysteries of the Egyptian Temple. The quest of the Goddess Isis, the Bright Queen, and her Dark sister Nephthys, both lunar deities, will represent our Soul's quest to realize itself through Love, accompanied by its faithful shadow, through the spirals and cycles of returning incarnation, to find and re-unite with the lost, perhaps forgotten, wholeness of separate Self with true Spirit. This is symbolised for the Egyptians as the Bright Masculine Lord of Light, Osiris. 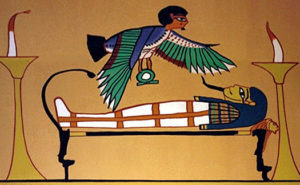 The myth tells of how the sacred body of Osiris was dismembered by the dark forces of the material world and scattered over the length and breadth of the Two Lands of Upper and Lower Egypt, the task falling to his wife and her sister to find these parts and re-member them. This tale illustrates how Life brings about separations within and from the Sacred Self and the way to unite it in consciousness, with Soul and Shadow working together under the Moon. We shall attune to this beautiful mystical lunar Sisterhood within to discover what lies beneath the waters of our waking nature, finding deeper reasons and meaning behind our actions and feelings, providing us with new, magical realisations of wisdom and healing. Special emphasis will be placed on dreams and visions which occur during this time, and the opportunities to discuss and interpret them with each other and your Temple Guides, K.N.Butler and Sherene Vismaya. Individuality and uniqueness are the supreme gifts of Separateness, but in this, we are each, although incredibly separate and different, all the same. Perhaps this is the the perfect ultimate sorrow and joy of incarnate existence. Soul will unite with its Shadow to remember its truest, and brightest Source and heal the divisions within the Self to bring peace and prosperity to our lives. GUIDED MEDITATIONSMoving out of negative thoughtsinto the realm of imagination, creation and receptivity. RITUALSMAGNETISMCLEARINGSBODY CONSCIOUSNESSBALANCINGMANIFESTATION TOOLS FOR LOVE AND PROSPERITY. Imagine the power of delving into your inner world on a daily and nightly basis for 40 Days and 40 Nights—supported by insights, rituals, and community!P40: The MOON: is a 40-Day Jungian journaling program that you can do from anywhere at any time. For 40 days and 40 nights, we will invoke the power and presnece of the MOON. I conceived of Project 40 as a way to help those who could not afford to come for regular therapy sessions. I also wanted to find a way to leverage the daily experiential tools and rituals we can all use. The Internet allows me to do this and I invest a great deal of time and energy in order to make each Project 40 journey a highly personal and “of the moment” journey. Nothing cookie-cutter or generic like you might expect with many online packages and programs. Project 40 is extremely unique and will take you just as deep as very intensive one-on-one Jungian psychoanalytic work. If you were to actually pay my going hourly rate, for the amount of time you get in this program, it would be very costly. At 250.00 / hour and approximately 20-30 hours per person per P40 session, we would be into the thousands of dollars. So I am happy and grateful for the Internet, as it allows us to connect in a way that is affordable for you and allows us to be engaged on a daily basis. Project 40 has healed me and so I have decided to share it as a service to the world under the blessing of my Guru, Mata Amritanandamayi who blessed it in Amritapuri in 2009. As a diehard, classically-trained psychoanalyst with eighteen years of analysis and supervision from some of the best Jungian analysts in Zurich, NYC and San Francisco, it’s painful for me to see how so much of the elegance and depth of Jung’s work is lost and misused by those with very little if any actual experience or training (not to mention their own analytic process). Jung says that the unconscious is both beautiful and terrible but not something to “play around with” or take lightly by any means. Would you throw yourself out into the middle of a dark ocean without a reliable person at the helm… or worse, without a boat or a paddle? Unless you’re trying to live the life of Pi, this is probably not wise. The danger of superficial systems that I have seen claiming to explore “shadow work” is frankly downright disturbing when you realize how tricky it is to navigate the depths of one’s unconscious without the proper clinical training, supervision and experience. This is another reason why I am trying to make this work more pervasive as a way to undo some of the damage that has been done to Jung’s work and credibility in so many “new age” and “self-help” circles that have sadly cheapened the work. A complex is something that must be worked at daily and consistently and with a skilled analyst to help you unravel the many layers. It is not something that can be magically “fixed” in one weekend, covered up with medication or removed with a juice cleanse. *Daily personal emails that I create on that particular day itself (nothing is pre-baked, half-baked or it would lose the essence of tapping into the powerful messages of that particular space and time–and thus lose the power of synchronicity so fundamental to the magic of Jungian therapy). *A creative and self-expressive journey through the essence of the Sun inhabiting the 12 signs of the Zodiac. *A system designed to bust through any laziness, blocks, and other BS that keep you from going beyond the normal 10% of mediocre consciousness and self-awareness. *Daily probing questions that make you stop and reflect in ways that create lasting transformation. *A powerful collective of kindred souls seeking radical transformation and willing to do the hard work in order to uncover the limitless potential and authenticity buried in the unconscious. *Accountability partners on a daily basis to keep you inspired and staying on top of your inner work. *Stopping and expanding time instead of the feeling that another month just flew by without any noticeable change in your life. *A sacred container built on 18 years of research and private practice with a classically trained Jungian therapist and astrologer. *40 Days of powerful tools you can use and re-use for the rest of your life that will totally transform your sexuality, your relationships and most importantly your Self. *Daily astrological guidance and reflection on the collective unconscious influences as revealed by the current astrological weather. * Jungian insights and techniques you can utilize to delve deeper into your core Self. * Mythical, metaphysical, and cultural symbolism and reference material related to astrology and Jungian psychology. * Sacred Space with kindred spirits willing to go as deeply as you are. The Project 40 community, P40 partners, journaling prompts, questions, rituals, and one-on-one support are all designed to help you unleash the courage, the passion and the resources you need to tap into your authentic potential! * Opportunity to receive one-on-one sessions with Sherene and Katy at a discounted rate during the P40. I am thrilled to see how much Project 40 has grown and expanded over the past six years. There are only FOUR left before we reach the 40 mark and complete the series. The final seven are the pure form and expression of the planets. We've designed P40: VENUS RX: STREETCAR NAMED DESIRE so that you can participate in it in the manner that best meets your needs.There are four different programs. Choose the one that feels best to you. MOON: LUXE**Limited for 3 people only. 40 Days of Guided real time, astro-inspired email messages and Jungian Journalingquestions and tarot spreads written by Sherene. 40 Days of daily written personalized feedback on either a dream, an issue of the day, a journalign question or up to a 3-card tarot spread by either Sherene or Katy. Gain Benefits No Matter How Much Time You Can CommitYou can do this Moon P40 at the pace that works best for you, being as active and involved as you'd like. For example, even if you only have a few minutes each day to attend to this work you'll receive benefit. Just reading the emails will inspire your mind with the intention you made to open up to the riches of your subconscious, and your imaginative mind and connection to the symbols of healing within and in the world will flourish. And, if you have more time (whether that be each day or several days throughout), you can focus more on it, diving into the journalling questions, doing the daily rituals, and actively participate in the Facebook page. P40:: The Moon: was created so it would meet your personal needs, allowing you to engage benefit however you would like, and yet still derive great benefits. Why Invoke the Moon ? MOON is the source of the Goddess, Memory and the Unconscious.MOON is the source of Shadow and Light.MOON is the source of containment, feelings and perception in the dark.MOON is the source of Divine Nectar. *Do memories and moods haunt you? *Are you sick of reliving the same emotional patterns? *Do you feel stuck in longings or regrets about the past? *Do you wish to strengthen your relationship to the Inner Divine Feminine? *Are you ready to trust your inner gut without fail? *Are you a good mother to yourself? * Do you wish to improve the relationship with your own mother or other female figures in your life? * Do you fear getting too close in love for fear of loss or disappointment based on past hurts? *Do you have a hard time navigating your emotions and feelings? * Does you wish your daily life contained more glamour and magic? * Do you know how to constructivley express your hurt and frustrations in your relationships or do you allow resentments to build up? * Do you suffer from living in the past? * Do you feel in tune with the Moon cycles? * Do you feel blocked in manifesting the kind of prosperity that would bring more beauty and sweetness into your world? The Sun moves into the watery world of Cancer this week but Friday's New Moon in the cardinal water sign of the "Mother" archetype... is the official initiation of this emotional, nostalgic and nurturing cycle. Our moods, memories and melancholy run the show over the next few weeks. Give care to your inner world, needs and feelings or they could cause unexpected tantrums or defense mechanisms gone awry. Your home is where your heart is this week, Aries. Now is the time when your inner homebody takes over and you pour your energy into your family and domestic duties. Money issues run a close second in terms of priorities during the first half of the week. You want love, beauty and less stress. Tuesday brings the official start of summer and triggers a super sentimental and nostalgic streak. Nesting and playing house is your idea of a dreamy summer this week. In fact, others will have a hard time pulling you away from your domicile. 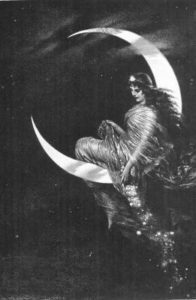 The New Moon on the 23rd is ideal for starting fresh with family members, women and mother figures, especially. Get ready for a rather sappy and sentimental ride this week, Taurus. Have your journal and plenty of tissues on hand. Feelings run the show. Give yourself as plenty of outlets to express your emotions as possible. The worst thing you can do is bottle anything up during such a sensitive time. Writing is especially cathartic now as is sharing your feelings in confidence to a close and trusted friend. Women in your life seem to need you more than ever these days as well, so you’ll need someone to lean on in return. The New Moon on Friday falls in your communication zone and brings thoughts, feelings and memories into focus. Finances are the big theme of the week, Gemini. You’re realizing just how much your feelings can influence your spending habits. Moods have a way of directly corresponding to your bank balance. Once you make the patterns more conscious under this week’s stars you can use this in your favor. Avoid splurging when you want comfort and channel your high energy moments into money-making mojo. Don’t let a bad mood or a need for emotional security cause you to make financial decisions that you regret. This Friday’s New Moon is ideal for resetting your relationship with your budget and overall cash flow. Cancer:Your feelings are taking you to new levels this week, Cancer. The planets are piling up in your sensitive stars and you’re all over the map with your moods and emotions. You might be wondering how your skin could feel so unbearably thin.. Friday’s New Moon in Cancer helps you to reset and nurture yourself. Let your inner mothering side baby you for a change. You’re so good at taking care of everyone else’s needs but you’re the one who needs you most now. Make enough time and space in your schedule to feel all of your feelings and indulge in a completely comforting meal or two. Your dreams are off the charts this week, Leo. The stars are stacking up in your house of sleep, plus there’s a New Moon taking place there on Friday. Your soul is screaming at you to listen now. Turn inward, meditate and track the messages coming to you from every angle. This will enhance your creativity and your sense of well being. This Friday’s New Moon invites you to start working deeply with someone who can help chart your inner world—be that a therapist, healer, shaman or coach. The time to delve into your deepest fears and insecurities will only reveal your greatest strength. Don’t feel you must do this on your own, darling. Calling in an excellent helper will only bring you greater power and status. Friends and collaborators take center stage this week, Virgo. No one builds a dream team quite like you. It just comes so naturally to you to surround yourself will a stellar support system. It’s something you do best. This is an excellent week to give back. You’ve been so lucky over the past few years and you’re feeling the call to share the wealth. This is an ideal time to up your charity game. Don’t let another moment pass before you send off some money to a cause you believe in. The New Moon on Friday is extremely emotional and mushy so carve in extra time in your schedule just to feel. The stars are lighting up the top of your chart this week, Libra. This puts you in stellar status. You’re thinking a lot about your career and the kind of mark you wish to leave on the world. Write down all of your dreams and ambitions as you prepare for this Friday’s New Moon. Make sure your professional ambitions also nurture you. You are more like a good mother than a boss and prefer your work crew to feel more like family. Plus you genuinely care about everyone you work with which can get your feelings hurt more than you’d like to admit. Use Friday’s New Moon to get in touch with all the emotional needs you have in your career and don’t sell yourself short for one second longer, darling. You’ll enjoy this week’s emotional lift, Scorpio. Others might accuse you of being dark and stormy, but this week you’re all about potential and optimism. Long-distance travel plans are on the near horizon. Use this Friday’s New Moon to sort through all of the details. You’re ready to spread your wings and fly away from all that had been bogging you down in other people’s drama and muck. You’re also on the hunt for new sources of inspiration and stellar mentors. You’re extremely selective but that now is an excellent time for finding your next great teacher or course of learning. Keep your ears to the ground. Nothing light and fluffy will do this week, Sadge. The hidden emotional side of your personality is taking over under the current stars. Don’t be surprised if you’re feeling extremely sensitive, sentimental and even nostalgic now. You may even feel more like being left alone than being your normal party girl self. Don’t lose heart, darling. It’s just a passing phase of cleaning out some inner muck while you prepare for a new cycle of greatness. Of course you’ll always find the humor even in the depth of sadness. The New Moon on Friday brings the changes and the rebirth you have been craving. If you’re willing to delve deep, you’ll come up shining and new. 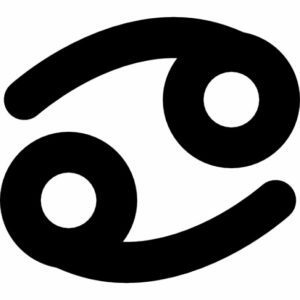 Partnerships are the big focus of the week, Capricorn. So many planets are piling in your opposite sign of Cancer now. This can make you feel rather grumpy and obsessed with your relationships. Don’t be afraid to ask for what you want and need in order to keep it all in proper balance. You might feel hyper-sensitive in general but your feelings need to be communicated to avoid weird power struggles with loved ones. Don’t avoid your own feelings by overcompensating and taking care of everyone else’s needs. The New Moon on Friday falls in your relationship zone and brings the perfect reset with others. Let go of past hurts and resentments so you can truly start fresh. Do you love your life, Aquarius? If not, use this week’s stars to start with your daily schedule. Get into the nitty-gritty of your routines, rituals and habits. You can turn your entire life around by making sure you adore your rhythm. This includes your wellness and workout goals as well. It’s all in the daily details now. You also crave projects that you can lose yourself in like a good mother. If you don’t adore your co-workers, you’re in the wrong place. Use this Friday’s New Moon to make any necessary adjustments to your work and your life. Life is absolutely blissful at the moment, Pisces. The stars are lining up in your love and pleasure zone this week to bring all the goodness. Plus, you’re surrounded by amazing women who just want to adore and spoil you silly. What could be better? Let yourself totally immerse in all of the support and care that you so deserve. You give so much to others in an unconditionally loving way. Now it’s time to fill yourself back up. 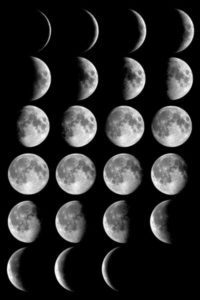 The New Moon on Friday is perfect for counting your blessings and watching them simply multiply over the next six months.